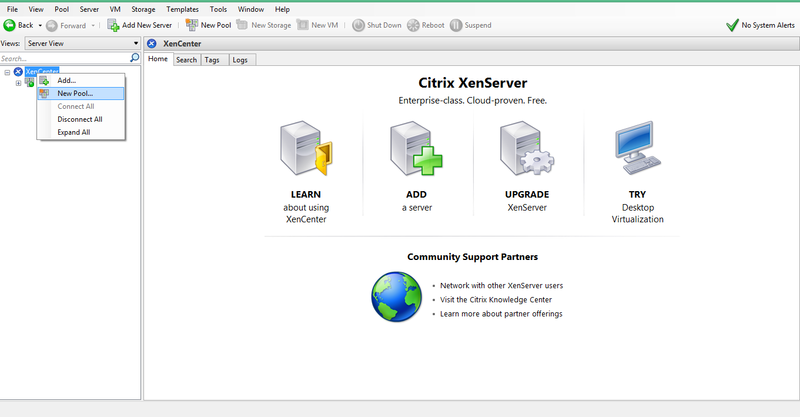 Xencenter is available as windows installation binaries which you can Download from here. The install process is quite strait forward so i am not including that in the post. 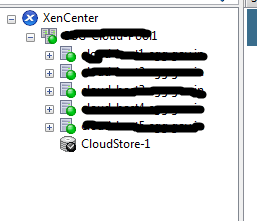 once XenCenter is installed create a pool and add all the hosts to pool. Once all the hosts are added all the iSCSI storage to the pool by clicking on Create new SR.
we have to create total 3 networks in xenserver pool named as Management, Guest and public. In our environment we wil configure this environment with NIC redundancy using bond configuration. 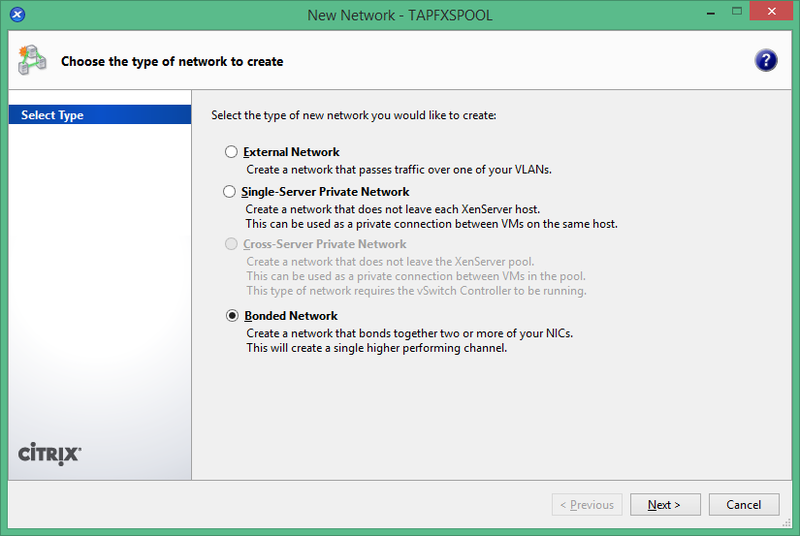 Click on cluster and navigate to network tab and proceed to create new network. Select Bonded network to create redundancy for management and cloud traffic. 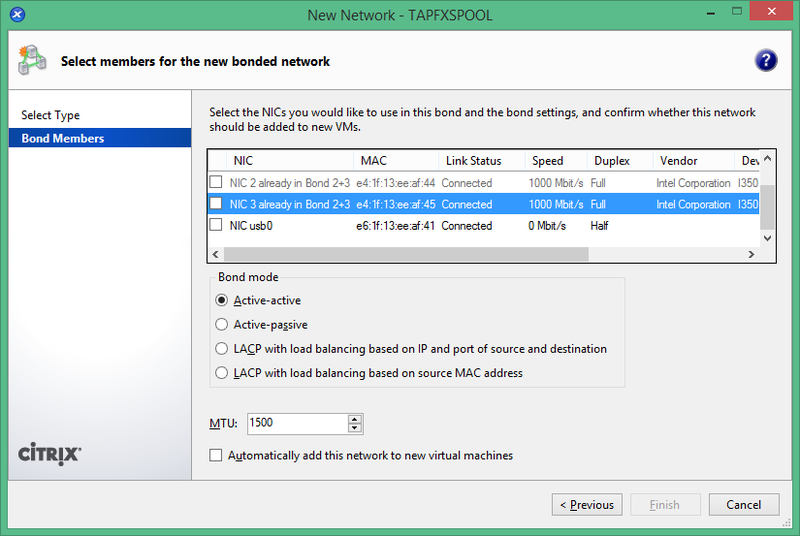 Create bond network by selecting Nic0 and Nic2 for management traffic with active passive configuration. Create the same configuration with Nic1 and Nic3 for Public and guest traffic. Create 3 virtual machine with CentOS base installed operating system for 2 cloudstack management servers and 1 database server. Navigate to Part 3 for Cloudstack Installation and configuration.